I’ve had a few weeks off since our last Elite Series event, but it hasn’t necessarily been a relaxing time. 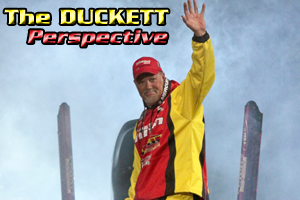 At Duckett Fishing we’re trying to get ready for ICAST, which starts next week. And my competitive seasons are about to get back in swing, with Northern Open, Elite Series and Major League Fishing events on the horizon. 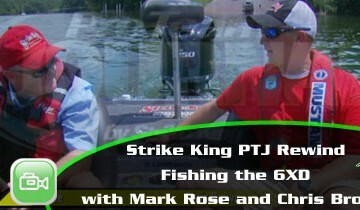 Right now, I’m in Richmond getting prepared for launch on the first day of the BASS Northern Open on the James River. I’ve got a little bit of a dilemma going into this event, and here it is: I want to fish good every time I compete. I want to walk away feeling like I’ve maximized my day. 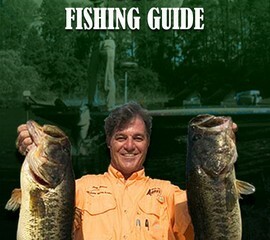 In fact, if you’ve read many of these columns, you probably know that my personal motto lately has been: Fish the best day you can fish, and the results will take care of themselves. The point to that motto is that whether you finish first or 51st, if you made the right decisions, gave it your best effort and focused all day long, you did all you could do. The only complication with that motto is that sometimes finishing first is the only thing that ultimately counts. For example, three years ago, I won the last BASS Elite Series event of the year. It was at Lake Oneida in New York. Winning that tournament was the only way I could have made the Classic field. Second or third would have been a great accomplishment, but I needed nothing short of a win. And that’s kind of what we have here in Richmond. 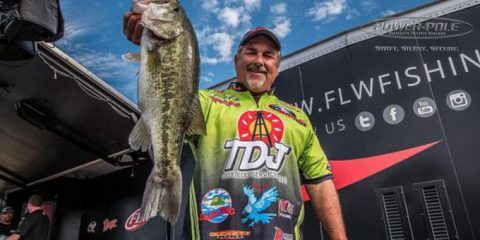 When an Elite Series angler fishes an Open event, he gets the chance to fish a good tournament and win some money – but you could argue that the only goal that truly helps most Elite Series anglers is a win. 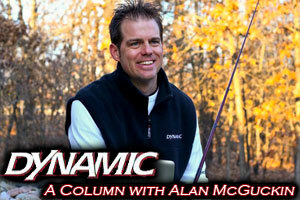 A win means an automatic berth in the Bassmaster Classic. Right now, I’m in pretty good shape right in the Angler-of-the-Year point standings, and if the Classic were held today, I’d be in the field. But there’s no guarantee that I won’t have a couple of bad events later and fall out of the Classic field. So I have three choices with this tournament. One, I can stick to my motto and do the best I can with the knowledge that I’ve gained in practice. I can fish with smarts and focus. And, doing that, I might wind up with 11 or 12 pounds a day, and that MIGHT keep me in sight of the leaders. Two, I can go for broke. “Swing for the fences,” as they say. The way I would do that is to ride an hour and a half one-way from Richmond over to the Chickahominy River, where really big fish live. I can search for giants. The problem with that strategy, though, is that it can fail spectacularly. I could “zero” on Day 1, because going over there and fishing for giants is a crapshoot. Three, I can try a combination of the two. Play it smart on the first day and see what that gets me. If I’m reasonably close after Day 1, then maybe I stay with the plan again on the second day. If I need a big bag on Day 3, I swing for the fences. One thing I know, though, is that I’ve had a pretty decent season so far. And I’m happy to be fishing in this event, because competition keeps you sharp. Maybe the competition in this Northern Open series will keep me focused. If I stay focused, I probably will make the Classic field and won’t need to pull a first-place finish out of my hat. Win, lose or draw, it’s good get back on the water and compete. I’m curious to see where this one goes.